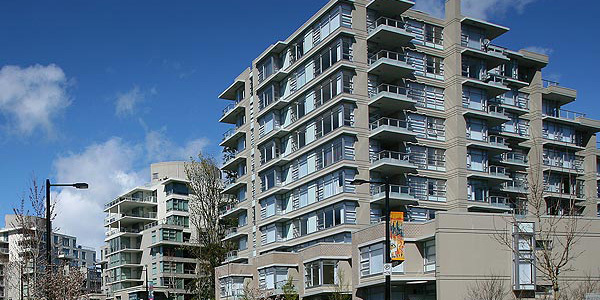 Univercity at Simon Fraser University (SFU) is a collection of condos and townhouses located atop Burnaby Mountain in north central Burnaby. UniverCity at SFU is designed to be a close knit, mixed use and transit focused community of condo residents created using the Four Cornerstones of Sustainability: Environment, Equity, Economy and Education. Just steps to the campus of SFU, UniverCity is a mountain top neighbourhood of condos buildings and townhome complexes amongst the numerous shops, services and restaurants of High Street village center, the Elementary School and Daycare along with all the indoor and outdoor recreation options atop Burnaby Mountain. UniverCity at Simon Fraser University offers direct transit links to Skytrain and is an easy trip to neighbouring city centers from all condos and townhouses. Living at Simon Fraser University allows for easy access to all other Lower Mainland municipalities by car and is only a twenty five minute drive east of downtown Vancouver. Or you can travel to Vancouver using the frequent Translink service from SFU, making your commute from UniverCity condos & townhouses comfortable and simple. Aurora at Simon Fraser University (SFU) was built by Polygon Homes in 2006. Aurora is located amidst the towering trees and preserved parks of Burnaby Mountain and is part of UniverCity at Simon Fraser University. The building being surrounded by a demonstration forest truly creates a place to get away from the hustle and bustle of the busier urban centers of Burnaby and Vancouver. Click here to read more and see listings at the Aurora.